Across the planet, and the North American continent, The Nature Conservancy’s conservation priorities touch down in places that are essential for people, nature, biodiversity, culture and communities. In New Mexico, our conservation priorities are shaped by the unique diversity and cultural history of our state. Click on our priorities to learn more! 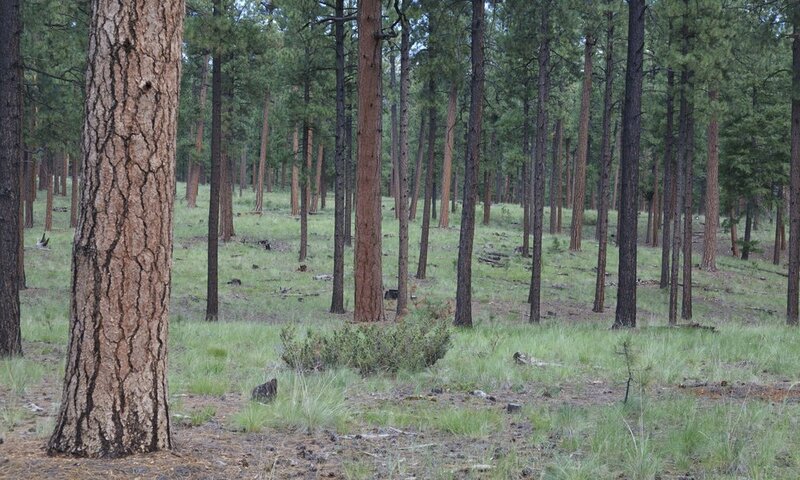 Forests store and filter a majority of New Mexico’s water supply. But when our forests are overcrowded, they can’t provide the clean reliable water that we need, and our health and economy are jeopardized. Frequent, high-severity wildfires and subsequent post-fire flooding increasingly threaten the New Mexico’s water security and cause extensive soil erosion and debris flows that degrade water quality for communities downstream. Post-fire thunderstorms brought rain to the burned areas and created massive ash and debris flows in surrounding canyons. The Rio Grande turned black with sediment and water managers halted withdrawals in Albuquerque and Santa Fe, determining the ash-laden water was not worth treating. Tons of debris was deposited in Cochiti Lake, closing the area to recreation and dumping excessive sediment in the reservoir. Long after the fire, sediment and debris flows blocked the Rio Grande threateneing New Mexico's ability to meet its obligations under the Rio Grande Compact. By taking care of our forests today, we can sustain New Mexico’s water supply, increase social and economic benefits for local communities and contribute to an improved quality of life—now and well into the future. New Mexico’s rivers, streams and springs provide habitat for an extraordinary array of plants and animals. At the same time, they face threats from numerous sources. Growing cities and towns increase the demand for water and energy. Dams change natural flow patterns while agricultural irrigation can remove all water from entire stream reaches. Rising temperatures and changed patterns of precipitation from a changing climate promise to further jeopardize these life-giving resources. The Nature Conservancy believes that integrating natural solutions, as well as implementing agriculture best management practices, can help us realize significant cost savings alongside improved water quality and quantity. Working across sectors, we can fundamentally change how water is managed and protect this vital resource for people and nature. We recognize the impact of demonstrating successful conservation projects that also achieve the water user’s management goals. Restoring and protecting watersheds and healthy river flows can help build social and economic resilience in the face of uncertainty and scarcity of water supplies. Albuquerque is New Mexico's largest metropolitan area. With just under 1 million residents, it is the 59th largest metropolitan area in the country. Between 2000 and 2010 the city’s population grew by 21.6%, and future population growth for the State of New Mexico is expected to be concentrated in the Albuquerque metropolitan area. Along with the projected population growth, concerns about the impact of years of drought — which affects the health of forests, Albuquerque’s water supply, and agricultural production — are front and center. The New Mexico Chapter has an extraordinary record of accomplishment in conserving the lands and waters of our state; we have conserved more than 1.3 million acres of land and dozens of miles of rivers over the past 30 years. Looking forward to the next decade, there are some enormous conservation opportunities on the near horizon. We remain committed to working to conserve lands and waters at a large scale. The most compelling example of this is in our emerging work with some of the largest landowners in the state. 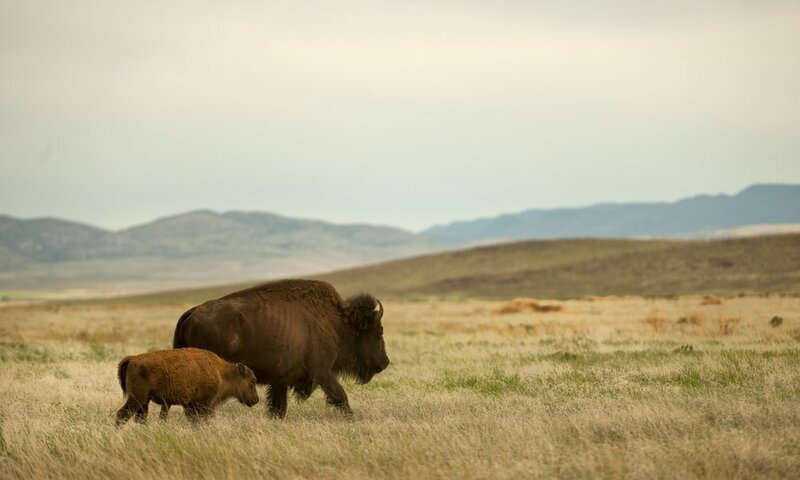 Relationships that have been built with major landowners and their ranch managers over the course of the past 20 years are now beginning to come to fruition, and as a result we are positioned to assume a role in conservation oversight of vast tracts of land in the next few years. Climate change is the paramount threat to the mission of The Nature Conservancy. It has the potential to greatly undermine the 60 years of significant investment in conservation that our organization has made. Due to the predicted rapid and drastic change by unmitigated impacts of emissions, it is clear that our organization has an obligation to seek solutions that reduce the amount of greenhouse gases emitted into our atmosphere. The Conservancy’s core identity as a science-based organization and our value of integrity beyond reproach, demands that we do all we can to seek a better road forward—for the earth and for humanity to reduce New Mexico’s contribution to climate disrupting emissions. For New Mexico, the Conservancy’s new emphasis on emission reduction complements our multiyear effort to help people and natural systems adapt to climate change.